The Ramayana is the most celebrated epic poem in South and Southeast Asia. It tells the journey of Prince Rama, from his banishment from the kingdom of Ayodhya to his triumphant return. Denied the throne on the eve of his coronation, Rama finds himself exiled to the forest for 14 years, accompanied by his devoted wife and brother, Sita and Lakshmana. After Sita is abducted by Ravana, a demon king, Rama wages war to ensure her rescue, aided by his faithful friend Hanuman and armies of monkeys and bears. Throughout South and Southeast Asia, the ancient Indian poem the Ramayana is revered as a cultural touchstone, a classical narrative interpreted and re-told in a myriad of forms, from fine art and film to comic books and modern advertising. It tells a sweeping and heroic tale of the exiled Prince Rama, who struggles to rescue his wife, kidnapped by a demon, and his triumphant victory. Beyond a mere story, it presents Hindu teachings that continue to influence life and culture. Knowing that the historic epic is considered a staple of modern religious studies, Elizabeth Hornor, Ingram Director of Education at Emory’s Michael C. Carlos Museum, saw within it an opportunity to unite artwork and classwork in a hands-on way that not only engaged students, but invited them to actually curate an art exhibition. 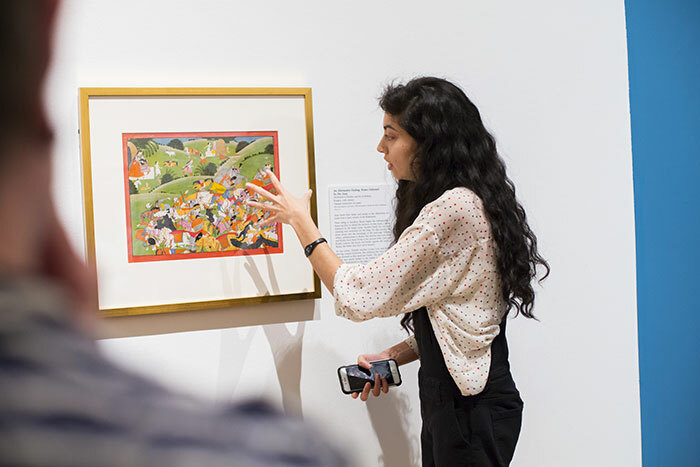 The challenge: Using the Carlos Museum’s growing collection of South Asian art, which includes paintings depicting scenes from the Ramayana, why not invite students to study the poem through both text and the museum’s images? 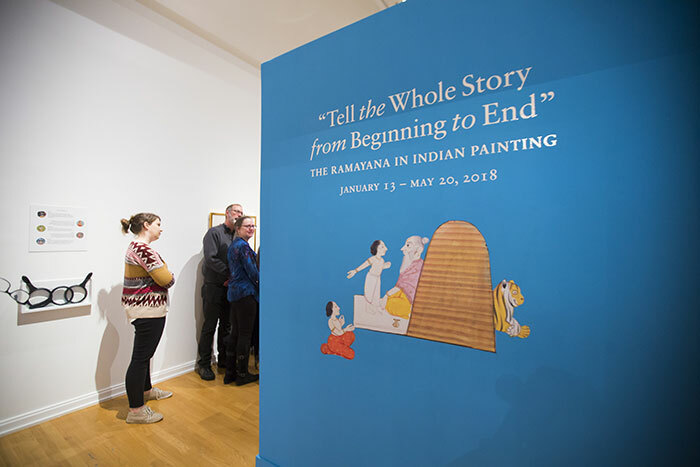 The result is “Tell the Whole Story, from Beginning to End: The Ramayana in Indian Painting,” a first-of-its-kind art exhibit that was researched, curated and organized exclusively by Emory students. It is now open in the museum’s Works on Paper gallery. In addition to studying the poem, students researched individual paintings from the Carlos collection. Students explored how the works fit into the poem’s overall narrative, learned about conservation issues, designed the gallery space down to the color of the picture frames, and wrote informational labels for each selection. The resulting exhibit was two years in the making, said Hornor, speaking at Jan. 23 event that invited Emory students to introduce the paintings and share research gathered during “The Art of the Hindu Epic,” a course offered last semester by Ellen Gough and Marko Geslani, both assistant professors of religion in Emory’s Department of Religion. 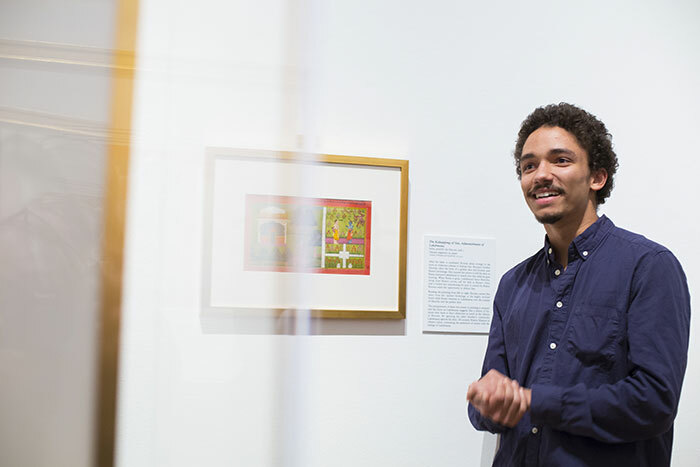 While Emory students have been involved with past exhibits at the Carlos Museum — Hornor is always trying to find ways to connect them to collections — this project sought to use the paintings to provide a new lens on an ancient text. And the timing couldn’t have been better. Hornor saw within the project the perfect intersection of philanthropic, research and curricular interests. In recent years, donors Jay Patel and his family and Pyush and Harshna Patel had emerged as avid supporters of the museum’s collection of South Asian art. Guided by Director Bonnie Speed and Joyce Flueckiger, director of the Laney Graduate School’s Graduate Division of Religion, they had helped purchase Indian paintings that supported two areas of teaching in South Asian religions — scenes from the Ramayana and avatars of the Hindu god Vishnu. With that in mind, Hornor approached Gough and Geslani with a proposal: Would they integrate the collection into their coursework? The faculty members, who’ve known each other since attending graduate school together at Yale University, were intrigued. “It brought us into the broader cultural life of the text as a thing that’s constantly being reinterpreted,” reflects Geslani. 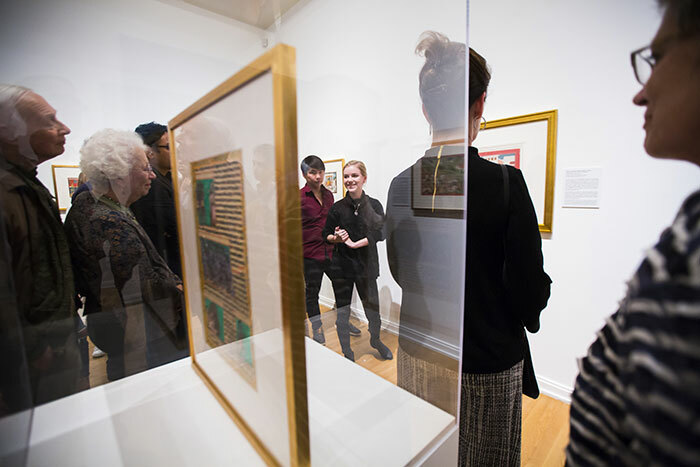 With grants from the E. Rhodes and Lenora B. Carpenter Foundation and the Andrew W. Mellon Foundation, art historians were brought to campus to help students better understand the paintings. 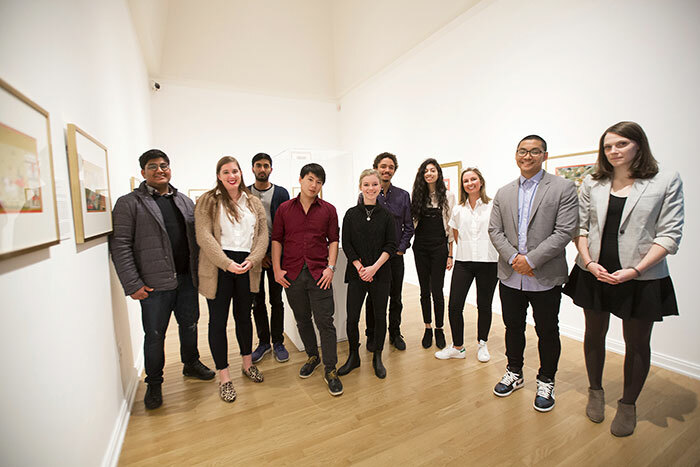 In class sessions, the scholars helped the students explore the artwork in the larger context of Indian painting traditions and shared their own experiences curating Ramayana exhibitions. The scholars also gave public lectures, continuing conversation over dinners with students, faculty and museum staff and patrons. Carlos Museum staff also offered their expertise. 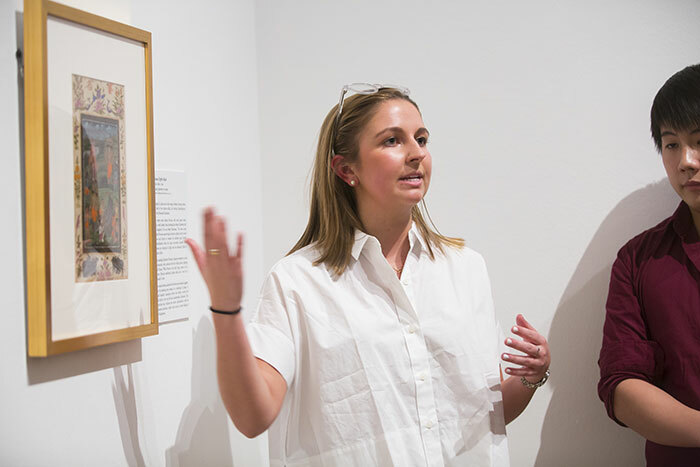 Students met with paper conservator Elizabeth Schulte and Carlos Chief Conservator Renee Stein, who introduced them to materials and techniques used to create the paintings and display issues, such as matting, framing and appropriate light levels. Working with Joe Gargasz, director of exhibition design, students learned how to lay out the show in a computer-simulated gallery and select graphic treatments, paint colors and framing materials. They even decided how paintings would be arranged and selected a title for the show. Most of the students in the class had little background in art history. Majors ranged from business and religion to anthropology and human biology. But all rose to the challenge of creating an exhibit. And last month, they became de facto museum docents, speaking before a small crowd about their experience with the paintings. Each student discussed physical, historical and cultural nuances of the paintings — how images were arranged, how the narrative moved through them, the symbolism of objects depicted and artistic styles. 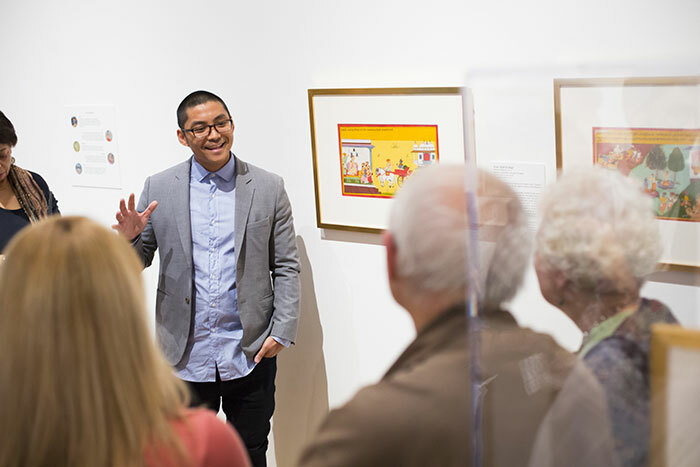 Though the class marked his first brush with art history, Thomas Shen found himself speaking with ease about the symbolism within his painting, noting details such as how members of a royal family were depicted with the brightest colors and real gold leaf. Even though senior Darby Caso is an art history major, her focus has been on modern art. Though she never imagined herself helping create a museum exhibit while still in college, “it’s something I’ve absolutely loved about this course,” Caso said. 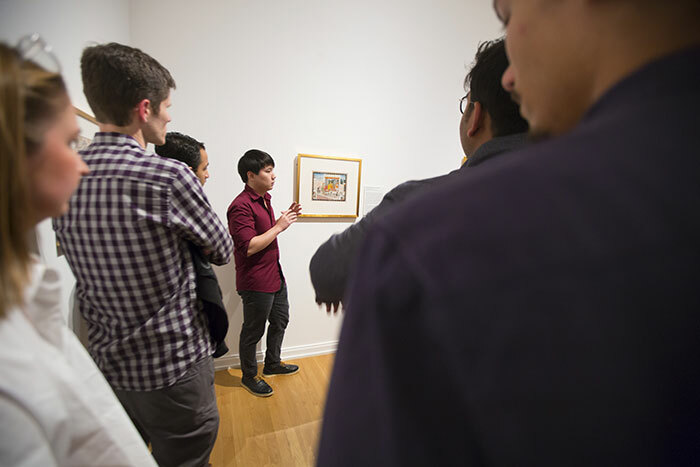 Admission to the Carlos Museum is free to Emory students, faculty and staff. For more information about museum hours and admission, visit here.